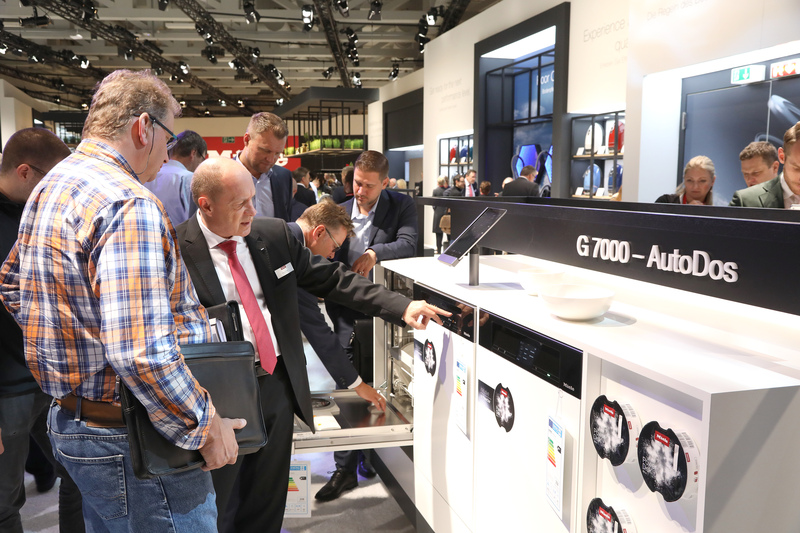 At the recently held World Fair of Technological Innovation (IFA Fair) in Berlin, the world’s leading premium home appliance manufacturer, Miele presented the G 7000 with a AutoDos system that gives users superior results and maximum washing benefits. 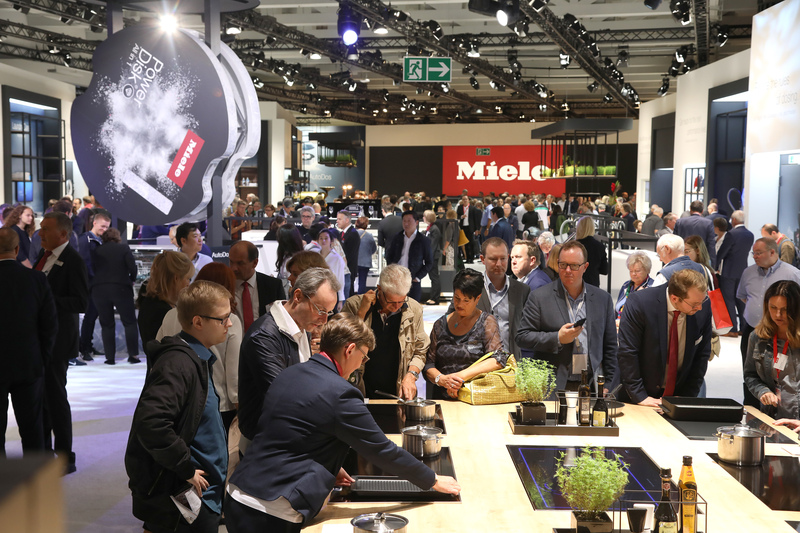 Miele also introduced a new model of coffee maker – CM 7750 CoffeeSelect, SingleWash washing machines, and MChef – a gourmet dinner concept at home. Dishwasher G7000 is the world’s first machine that, thanks to a unique AutoDos system, automatically doses the required quantities of specially created powdery granules. Just place the PowerDisc with the detergent in the machine, and it will automatically rotate during washing and precisely determine the amount of detergent required depending on the work program. For example, in the automatic washing program, the dosage is adjusted to the degree of dirtiness of the dishes, so that the smaller detergent reduces the amount of detergent used, by a quarter. All G7000 models with AutoDos system and connectivity to WiFi can be controlled via a mobile application, depending on the market and via Amazon’s virtual assistant Alexa. 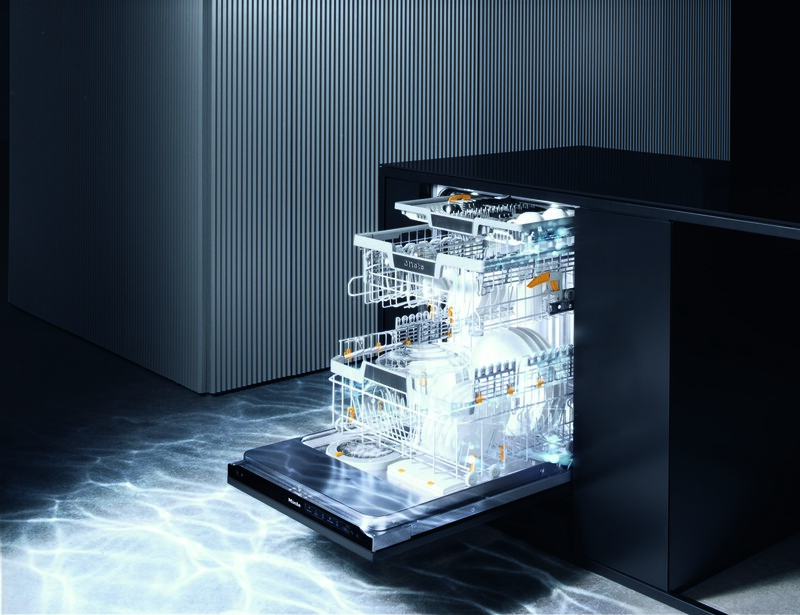 This gives all users the opportunity to launch or stop their Miele dishwasher from any location, activate the desired work program, and even order a detergent. The AutoStart feature provides additional benefits during the day that brings many obligations. There is no need to manually turn on the machine. AutoDos is always ready for operation, and the dishwasher can be programmed so that the washing process always starts at the same time, for example in the morning of 9 hours every other day. Depending on the wishes and needs of the users it is possible to program different start times – one time during working days, the other during the weekend. The customers of the Mi7 coffee machine CM7 enjoyed a larger range of options than the users of any other device of this type available on the market: 16 types of coffee were available, from creamy coffee, via espresso, cappuccino or white coffee – coffee with milk, to drinks commonly consumed in other countries, such as Long Black or Flat White. In addition, they also had hot water at various tea making temperatures. Now, the new patented CoffeeSelect feature ensures even greater convenience, flexibility and enjoyment, with three separate containers for different coffee beans, for example, to prepare espresso, foamy creamy coffee or coffee without caffeine. The new CM 7750 CoffeeSelect has a cooking part that can be removed and automatically cleans the milk flow pipes. These advantages are complemented by tested and proven features such as programming up to 10 user profiles through touch screen, LED outlet for coffee outlet and filling up a maximum of 10 cups one after another in a row. With the help of the MobileStart function, it is possible to start the preparation of drinks with the Miele @ mobile application. This feature is especially useful for all large families with a dense schedule of daily activities, where help is provided in daily work. In addition, using this application, it is also possible to monitor coffee bean levels in coffee pots, water holders and milk bottles. Coffee machine CM 7750 CoffeeSelect will soon be available in our market. 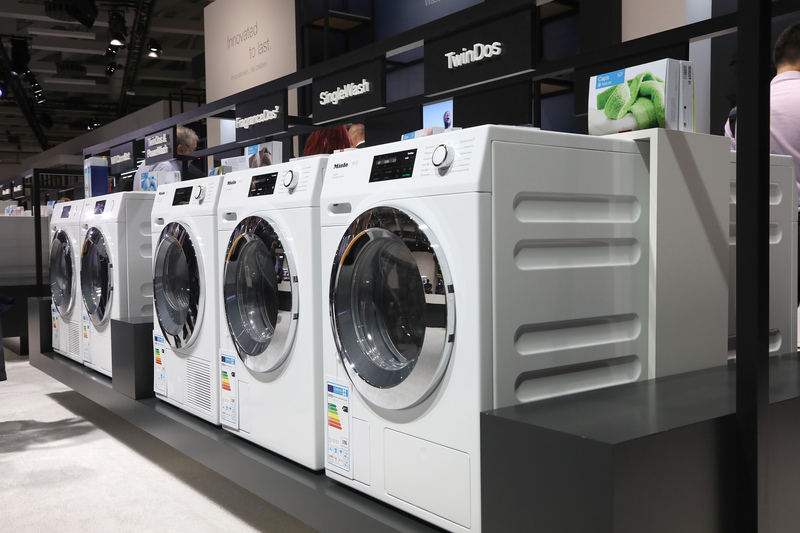 Whether you collect the laundry over a long period of time or suffer from the guilt of conscience when you wash away only one or two small pieces of clothing – an old dilemma. However, both options now become questions from the past. Thanks to the new feature, SingleWash, even when you want to wash only one piece of clothing, you can do it in an economical, fast and hygienic way. SingleWash measures the consumption of water and electricity, as well as the actual cycle time required at very low loads. This feature is based on the patented Miele technology, PowerWash 2.0, which has a precise circulation pump, load-dependent and Spin & Spray technology to deliver additional benefits for the consumer. As a result, it consumes about 60% less electricity and only half of the usual amount of water, combined with apparent time savings. Within the Minimum Ironing program at 40 ° C, the wash cycle lasts only 39 minutes without any compromise in terms of purity (grade A). The startup project, called MChef, supported by Miele, was designed to deliver high quality ordered food to homes throughout Germany. Extremely delicious meals containing ready-made dishes or whole menus consisting of three types of dishes await them to be ordered. When they arrive at the customer’s doorstep, the ingredients are already temptingly arranged on elegant porcelain plates – ready to be thermally processed to perfection in Miele rerns with Dialog oven technology that allows cooking by electromagnetic waves of different spectrum. The target group for this new gourmet service is made up of oven owners with Dialog oven technology who want to dine the food of the same quality as if they are in their favorite restaurant, although they are in the comfort of their own home. Orders received online by 12.30h are delivered the next day, and the service is available 365 days a year. In the oven with Dialog Oven technology, it is possible to prepare up to six different types of dishes at the same time. This program is started directly from the MChef application via the appropriate setting. The average cooking time is 20 minutes. This gourmet service, unique in the world, will start providing services in September, and from the beginning of next year it should cover the territory of the whole of Germany.